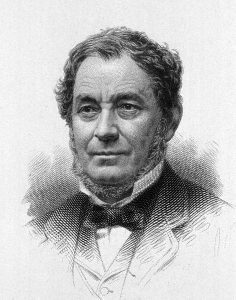 March 31 is most likely Robert Bunsen’s birthday. Bunsen’s birthday is a source of uncertainty in science history. Many sources place his birthday on March 30, including handwritten curricula vitae by Bunsen himself. Bunsen was known to celebrate his birthday on March 31 in his later years and several other sources place his birthday on this date. We do know Bunsen was a German chemist who, together with Gustav Kirchhoff, developed the study of emission spectroscopy. Bunsen’s early work dealt with the chemistry of cacodyl compounds. Cacodyl has a general structure of (CH3)2As-As(CH3)2. It smells of garlic and is extremely poisonous. It also spontaneously combusts in air. An explosion caused by this chemical caused Bunsen to lose his sight in his right eye and almost die of arsenic poisoning. In spite of his unfortunate encounter, he did manage to discover ion oxide hydrate is an effective antidote to arsenic poisoning. He also postulated the existence of the methyl radical (-CH3). His next project involved the use of electrolysis to produce pure samples of several metals. He obtained pure samples of aluminum, barium, calcium, chromium, lithium, magnesium, manganese and lithium using this technique. Together with Henry Roscoe, he studied the formation of hydrogen chloride from hydrogen and chlorine. They discovered the reciprocity law which the intensity of light has an inverse relationship with the duration of light to determine the rate of a light sensitive reaction. He left this line of investigation to begin his partnership with Kirchhoff. Heated elements give off a spectrum of visible light with distinct bands of bright colored lines when viewed through a thin slit. Bunsen and Kirchhoff developed a device to collect this light and divert this light through a prism. They measured the angle the bright bands were bent using a pivoting telescope. This measurement would allow them to calculate the wavelength associated with the bright line. The two men noticed every element had their own distinct spectra. The two men began a systematic study of the emission spectra of many different samples. During this investigation, Bunsen detected the existence of two unknown elements. After isolating them, he named them caesium, for its distinctive blue spectra and rubidium for its red spectra. Their technique also identified helium in the sun. One thing all chemistry students know about is the famous Bunsen burner. Bunsen’s spectroscopy studies required an adjustable flame that burned hot and clean. Bunsen got the idea to premix the combustible fuel with air before it arrived to be burned. He assigned the final engineering of the device to his assistant Peter Desaga. Several versions were built before designing the model still in use today in laboratories around the world. As a teacher, Bunsen attracted several notable students. Among them was Dmitri Mendeleev, the man who designed the Periodic Table. Three of his other students would go on to be Nobel Prize winners. 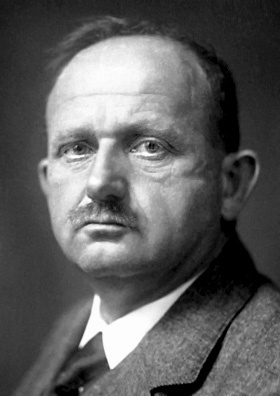 These were Adolf von Baeyer (1905), Fritz Haber (1918), and Philipp Lenard (1905 Physics). Many others would go on to become leaders in Chemistry. 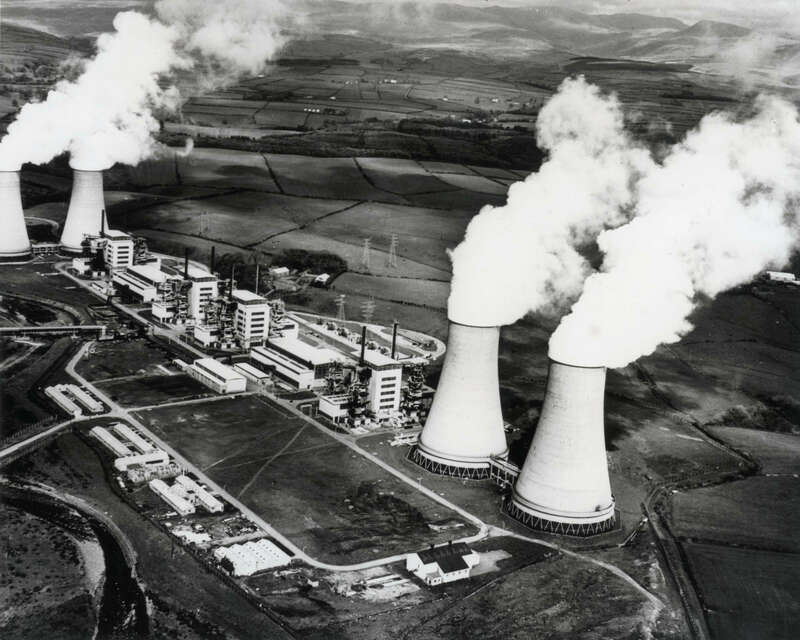 2003 – Calder Hall nuclear power plant shuts down. Calder Hall – FIrst commercial nuclear power facility. 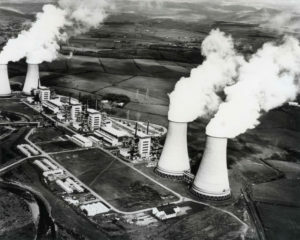 Calder Hall was a British nuclear power station that was the world’s first commercial nuclear plant connected to a public electrical grid. It was opened in 1956 when Queen Elizabeth threw the switch to divert power to the public grid. It operated continuously for the next 46 years. 2001 – Clifford G. Shull died. 1997 – Friedrich Hund died. Hund was a German physicist best known for Hund’s Rule. Hund’s Rule is a method to determine the electron structure within atoms and molecular bonds at the valence energy level. Once the inner electron levels are full, the leftover electrons distribute themselves in the valence shell by the spin quantum number. The spin quantum number has two possible values, +½ and -½, also known as “spin up” and “spin down”. Hund’s rule states the electrons will fill all available positions with the same spin before the opposite spin values are added. Hund proposed other rules dealing with molecular electron energy levels and molecular orbital theory. He also discovered the principle of quantum tunnelling. Quantum tunnelling is the quantum effect where a particle passes through, or ‘tunnels’ through an energy barrier where under classical mechanics, the particle could not overcome. 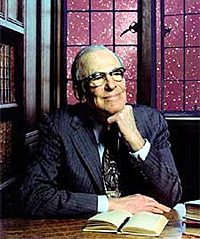 1997 – Lyman Strong Spitzer, Jr. died. Spitzer was an American astrophysicist who developed the physics of plasmas and the interstellar medium. He was the main figure in developing the space-based observatories, the Copernicus satellite, Hubble telescope, and the Spitzer Space Telescope. 1978 – Charles Herbert Best died. 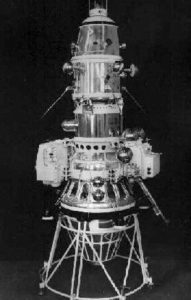 Luna 10 spacecraft. First to orbit the Moon. The Soviet Union launched their Luna 10, or Lunik 10 robotic spacecraft. The spacecraft became the first man-made object to orbit the Moon on April 3. Once there, it gathered data on the Moon’s magnetic field and radiation belts as well as cosmic radiation data. It also discovered areas of high density in the surface of the Moon which distorted orbital trajectories. This would be extremely important for later Moon missions. 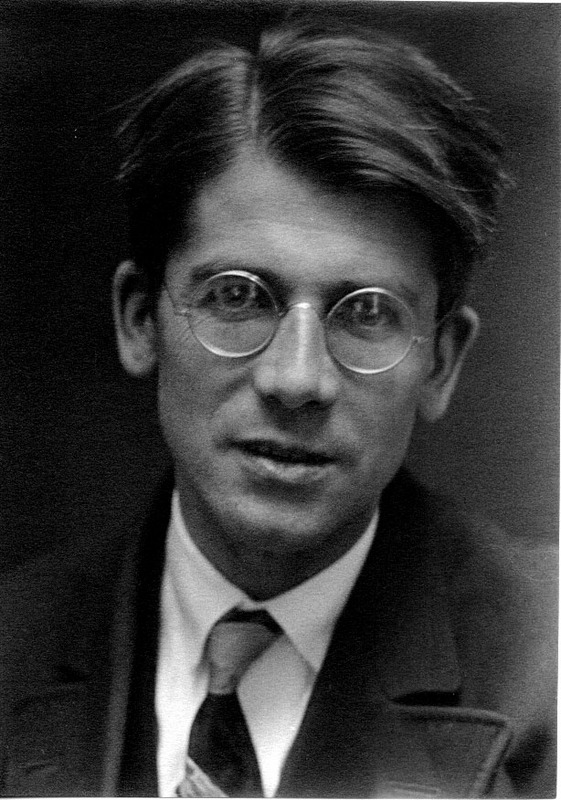 1945 – Hans Fischer died. Fischer was a German chemist who was awarded the 1930 Nobel Prize in Chemistry for his research into biological pigments. He researched chlorophyll, carotene and synthesized of hemin, the red pigment in hemoglobin. He found these structures were based on the structure of pyrrole. Pyrrole is a pentagonal ring structure with 4 carbon atoms and a nitrogen atom. 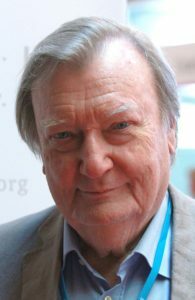 1934 – Carlo Rubbia was born. Rubbia is an Italian physicist who shares the 1984 Nobel Prize in Physics with Simon van der Meer for the discovery of W and Z bosons. Their discovery confirmed the electroweak theory of subatomic particles that unify the electromagnetic force and weak nuclear force. They are also important to the Standard Model of particle physics. W and Z particles are the carriers of the weak nuclear force, one of the four fundamental forces of physics. The W particles carry a charge of either +1 or -1 and the Z particle carries no charge. They are massive particles, approximately 100 times the mass of a proton, but have a half-life of only 3 x 10-25 seconds. They are typically present when beta nuclear decay occurs. During β– decay, one of the down quarks in the neutron becomes an up quark, turning the neutron into a proton and emits a W particle. The W particle quickly decays and produces an electron (beta particle) and an anti-neutrino. 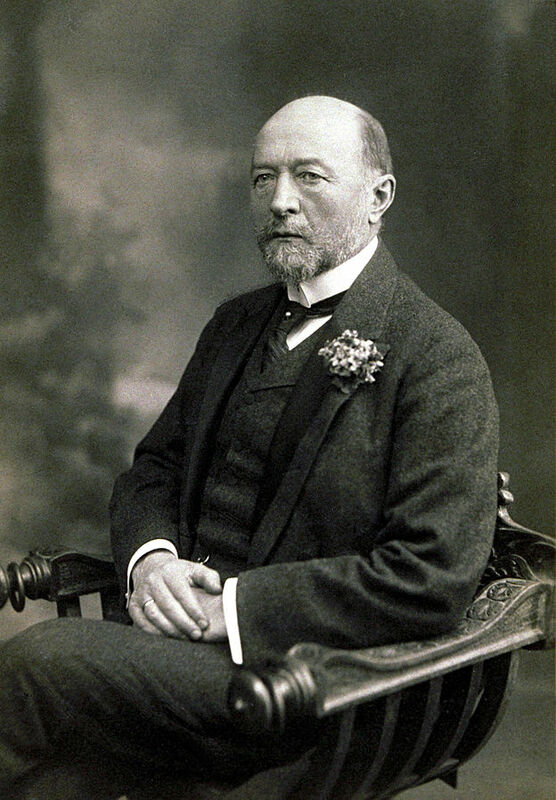 1917 – Emil Adolf von Behring died. Behring was a German physician who earned the first Nobel Prize in Medicine in 1901 for his serum treatments against diphtheria and tetanus. Diptheria was a serious disease for children and his serum was the beginning of a cure.Tetanus or lockjaw was the leading killer of wounded soldiers. von Behring’s serum was the best vaccine to treat the disease until Descombey’s vaccine in 1924. 1906 – Shin’ichiro Tomonaga was born. Tomonaga was a Japanese physicist who was awarded a third of the 1965 Nobel Prize in Physics for his method of renormalization to describe quantum electrodynamic interactions. 1890 – William Lawrence Bragg was born. 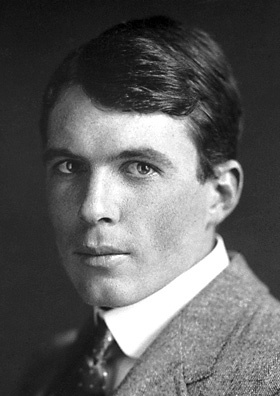 Bragg shares the 1915 Nobel Prize with his father, William Henry Bragg for developing x-ray crystallography and their laws of crystal structure. Interference patterns are formed by waves passing through a gap when the wavelength is on the same order of magnitude as the width of the gap. The wavelength of x-rays is on the order of the distance between atoms in a crystal. When the Braggs shined an x-ray source on a crystal, they could measure the low and high-intensity regions of the diffracted light. Based on this data, they could deduce the size of the gap and even the orientation of the gap. The Braggs started with simple crystals such as cubic sodium chloride salt. Others have taken this technique and began an entirely new field of study: x-ray crystallography. The crystal structure of various minerals was the first to be studied, but it was quickly applied to anything with a crystal structure. Materials science made a huge leap from x-ray crystallography. Biologists had a new way to determine the structures of proteins when they found they could crystallize their samples. The helix of DNA was originally discovered using x-ray crystallography. 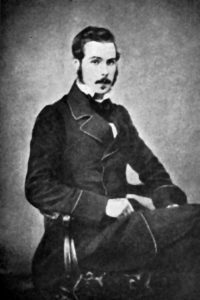 Fun Fact: Bragg was 25 years old at the time of his Prize, which makes him the youngest person to win a Nobel Prize to date. 1831 – Archibald Scott Couper was born. Couper was a Scottish chemist who discovered carbon atoms were tetravalent and could form long chain molecules. The general theory of the arrangement of atoms in molecules held molecules were built off a single central atom. The problem with the theory was many organic compounds seemed to not have a central atom. Couper’s discovery of carbon chains was important to knock down this theory. Couper wrote up his paper and passed it to his friend and fellow chemist, Charles Adolphe Wurtz to present at the French Academy of Sciences. 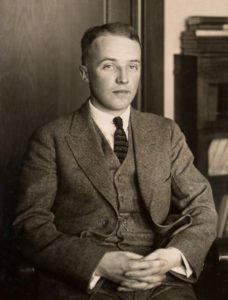 Unfortunately for Couper, Wurtz procrastinated on presenting the paper to the Academy and Couper lost priority to a German chemist, August Kekulé who also discovered carbon could form multiple bonds and determined the ring structure of benzene. Couper did not take this loss well and never published a scientific paper for the rest of his life. One lasting contribution Couper gave to chemistry was the way chemical structures are drawn. He was the first to draw structures where element symbols were connected by lines that represent the bonds between them. 1811 – Robert Wilhelm Bunsen was born. 1801 – Thomas Clark was born. Clark was a British chemist who discovered the phosphate of soda, or sodium phosphate. He also developed the process of water softening using lime (calcium hydroxide). This process is still known as the Clark process. There is a unit named after Clark called the ºClark to measure water hardness. One degree Clark is defined to be one grain (64.8 mg) of CaCO3 per Imperial gallon (4.55 liters) of water.